Online store specializing in 1:6th scale Action figures both Modern and Vintage. Specialising in Action Man Figures and Accessories. Welcome to EAGLE EYES ACTION STATION, the No.1 place to find collectible 1:6th scale Action Man, uniforms, equipment and spares. We stock a huge array of Action Man, Action Man 40th Anniversary, Vintage Action Man (Palitoy), GI Joe, Geyper Man, Group Action Joe and other Action Figures. So whether you are shopping for yourself, or are looking for a gift for that special someone, we're sure to have it. We pride ourselves on our customer service and treat each an every customer as we would expect to be treated ourselves. It's a successful formula that sets us apart. Eagle Eyes Action Station has been selling on eBay since February 2000 and with mail order experience nearing two decades. Have a good browse through our online shop for Action Figures such as Action Man, Vintage Action Man and 40th, Dragon, D.I.D Dragon in Dreams Figures and spares, Blue Box, GI Joe Action figures etc. 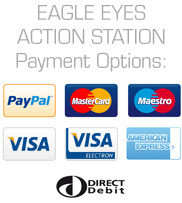 You can pay by CREDIT/DEBIT CARD, or PAYPAL using the online shopping cart, or simply ring your order through. Alternatively email us using the contact form at the bottom left of this page to pay by Credit Card, Paypal, Cheque, Postal Order or I.M.O. WE WILL POST WORLDWIDE! 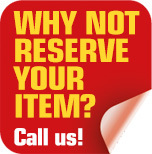 All Items are packed to the highest standards and are sent out promptly on receipt of cleared funds.